The exhaust of your car is highly important when it comes to the general running of it. An exhaust system has a few different functions which ensure that your car’s performance is at its best. The exhaust is one of the hardest worked parts of a car and ensures that your car does not put harmful emissions into the air. This is done by the catalytic converter within your exhaust system which removes the harmful carbon monoxide and hydrogen monoxide. All exhausts work in a similar way; however, the look of some models may vary. The Milltek exhaust is highly popular and can provide a car with many benefits, especially when it comes to the performance. If you are searching for a Milltek Exhaust then get in touch with Freeway on 01892 520022. We are based in Tunbridge Wells and service all surrounding areas. Why Choose a Milltek Exhaust? If you are looking to improve the performance of your vehicle then look no further than a Milltek exhaust. Like most performance-enhancing exhausts, a Milltek sports exhaust can help improve the power of your car. It is estimated that an exhaust from Milltek can create up to 10% additional power for the car, which is ideal for many customers. However, the power will also depend on your specific vehicle. 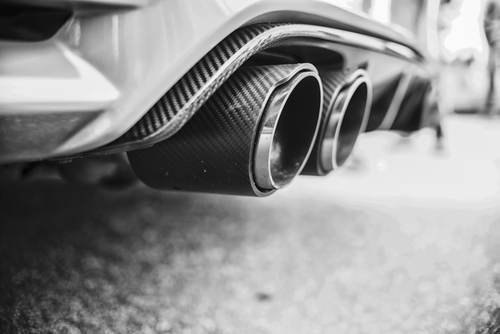 The exhaust is not made to create huge amounts of noise; however, it boosts the general performance of your car and does create a sportier sound. As one of the biggest known brands for exhausts, Milltek has years of experience in creating high-quality exhaust systems for so many different car types. The variety that Milltek offer is what makes them so popular within the general market. No matter what type of car you have, it is likely that they will have the perfect exhaust for your car. From Audi to Mercedes, there is a huge variety of different exhausts to suit different cars. You also do not need to modify your car in any way in order to install or fit a Milltek exhaust. Their exhaust systems will have everything that is needed to complete a replacement process. If there are any specific differences involved during the replacement of the exhaust then you will be made aware of this. After purchasing a Milltek exhaust with us, one of our mechanics can fit this for you. At Freeway Exhaust & Tyre Centre, we specialise in the fitting of exhaust systems for cars and other vehicles. We offer a Fastfit exhaust repair and replacement service, ensuring that all of our customers can get back on the road in their car as soon as possible. If you suspect that your exhaust is damaged or is not working properly, it is important that you bring it in for a check. We offer a free check for all exhausts and recommend that you have this checked out every 10,000 miles and ideally once a year. For example, if your exhaust system has any visible holes, doesn’t sound right or there is lots of excessive smoke coming out of the system then please ensure you bring the vehicle in for a check as this could cause further damage if not fixed. Even if your car’s exhaust system is not damaged you may still wish to purchase a replacement. We have a great stock of branded exhaust systems which are perfect if you are looking for a brand-new exhaust. You can also discuss this with one of our exhaust experts if you are unsure. We aim to provide each and every customer with a high-quality exhaust replacement and repair service. Call the centre today on 01892 520022 to purchase your new exhaust!